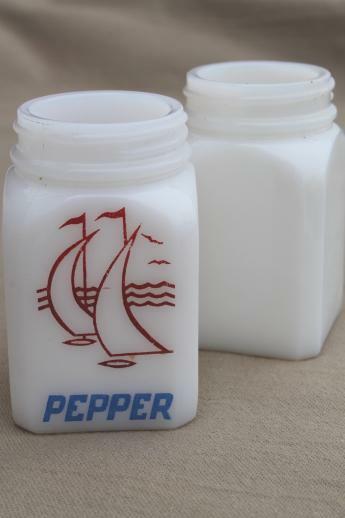 Two vintage milk glass spice jars, both of the same size and shape, though only one has a colored design. 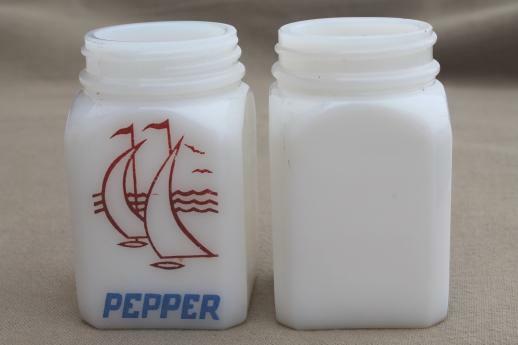 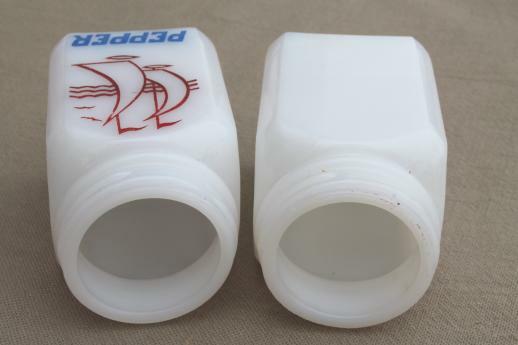 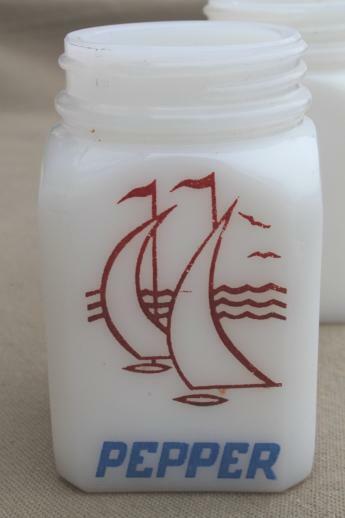 The 'pepper' jar has a sail boat in red and blue, and the other jar has not even a trace of decoration. 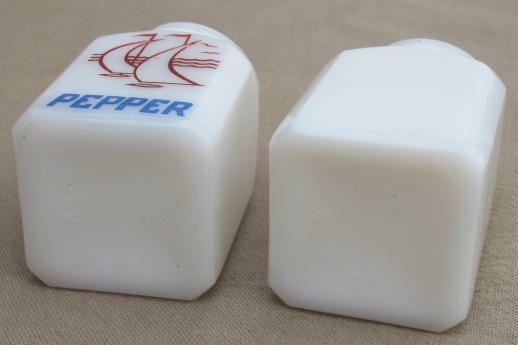 Both of these jars measure 1 3/4" square x 3" tall, and are 1 5/8" at the fitters. 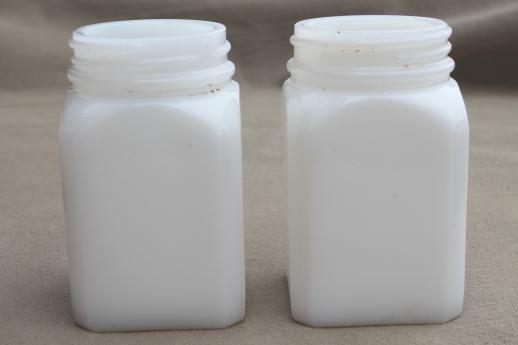 We have no lids for either of these jars, but the jars themselves are in very good condition without chips or roughness.